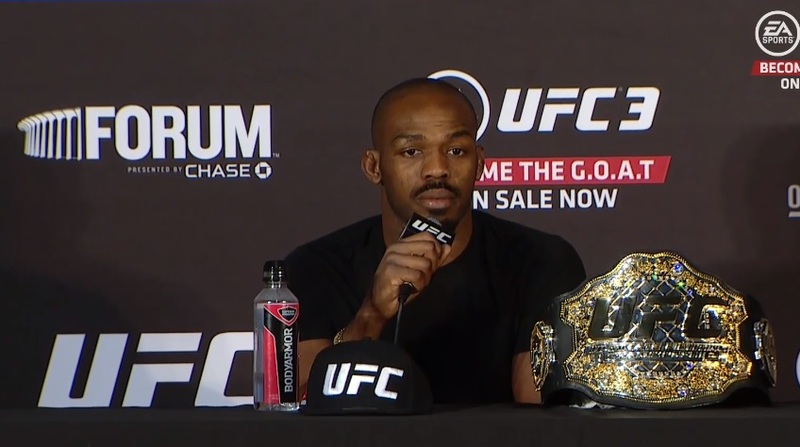 UFC Light Heavyweight Champion Jon Jones scared of Brazilian MMA fighters? The newly crowned UFC Light Heavyweight Champion Jon “Bones” Jones, 31, of Albuquerque, New Mexico, United States is not someone who gets scared by a fellow mixed martial artist. But fighting in Brazil against a Brazilian opponent is not something he is looking forward to. During the post-fighting press conference at “UFC 232” on December 29, 2018 at The Forum in Inglewood, California, United States, Jones was asked if he was interested in competing in Brazil. He said it was something he was looking forward to but he would not want his opponent to be Brazilian considering how passionate the Brazilian fight fans are. Among the active Brazilian fighters in the light heavyweight division of the UFC are Mauricio “Shogun” Rua, 37, Antonio Rogerio “Minotouro” Nogueira, 42, Glover Teixeira, 39, and Thiago “Marreta” Santos, 34. Both Rua and Teixeira have faced Jones in the UFC octagon. On March 19, 2011, Jones knocked out Rua via punches and knees at “UFC 128” and on April 16, 2014, Teixeira lost to Jones via unanimous decision at “UFC 172.” Both bouts took place in the U.S.
Jones had his rematch with Alexander “The Mauler” Gustafsson of Stockholm, Stockholm County, Sweden in the main event of “UFC 232.” Referee Mike Beltran put a stop to the contest after 2 minutes and 2 seconds in the third round when the American contender knocked out his Swedish opponent via punches. “UFC 232” was co-headlined by two female Brazilian UFC champions. UFC Women’s Bantamweight Champion Amanda “The Lioness” Nunes, 30, of Salvador, Bahia, Brazil challenged UFC Women’s Featherweight Champion Cristiane “Cris Cyborg” Justino, 33, of Curitiba, Parana, Brazil.